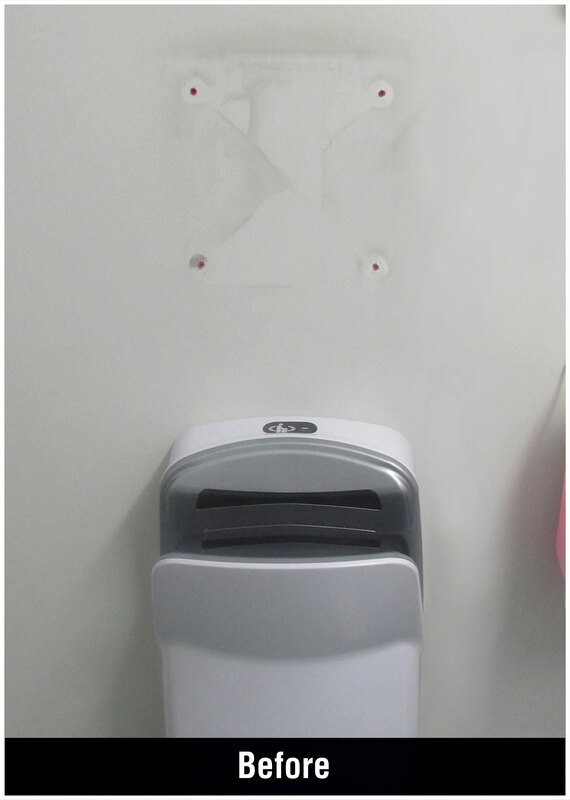 When an older style hand dryer is removed, it leaves a space on the wall that reveals the screw holes that attached the old hands under style dryer to the wall. Making a bathroom beautiful again, means those screw holes need to be hidden again. You could go to all the effort of plastering in the holes and then paint over the surface again however, you may still be left with a unnecessary patchy finish. 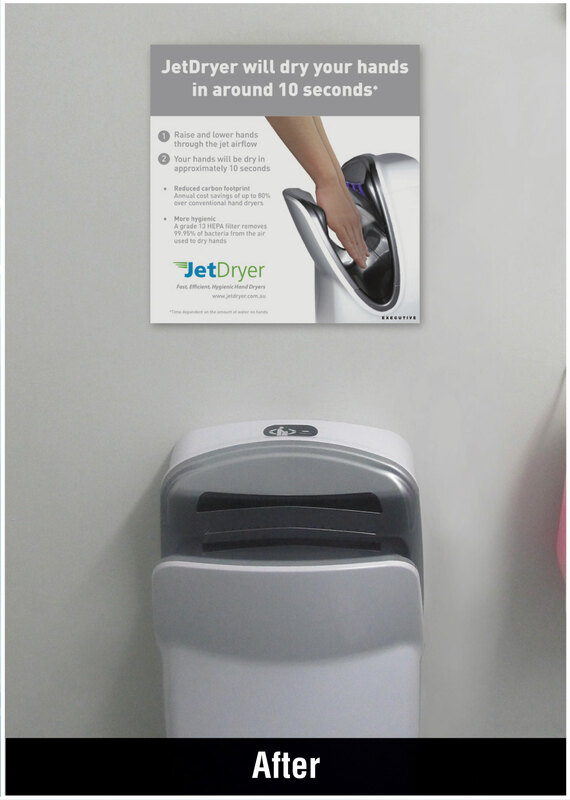 An alternative is to replace the hands under style dryer with a hand drying instructions sign. That way you’ve solved the installation issue without having to complete remedial work on the wall AND you’re helping bathroom users who are new to the hands in style hand dryers style. The Hand Dryer Instruction Signs are available for both the Executive and Business models.